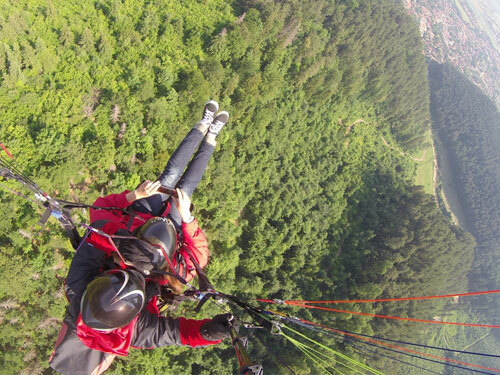 Come fly with us above the beautiful Carpathian mountains, above the Brasov city! After assuring that the wind conditions are appropriate, we put the equipment (helmet, harness, etc.) on, and make a final check. When the wind is right, we will be in the air within a few steps. During the flight the passenger is in front of the pilot. 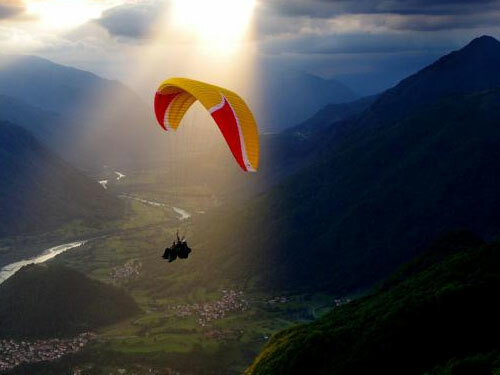 In flight we have time to take pictures, or make a video, and simply enjoy the amazing scenery; mountains, sky, sun! When we prepare to land, all the passenger needs to do is stand up. Solid shoes is a good idea, depending on the location of the flight. All of our equipment complies with strict european safety standards. Our pilos have been flying paragliders for many years, and have been taking lucky passengers up for tandem flights for the past 15 years. So, just come fly with us, and fill the dream of free flight! Flights can be made throughout the year, depending on the weather, including winter (when clear, beautiful landscapes are hard to imagine). Duration of activity (including training and flight) can vary between 1:00 h and 1:30 h, depending on weather conditions. 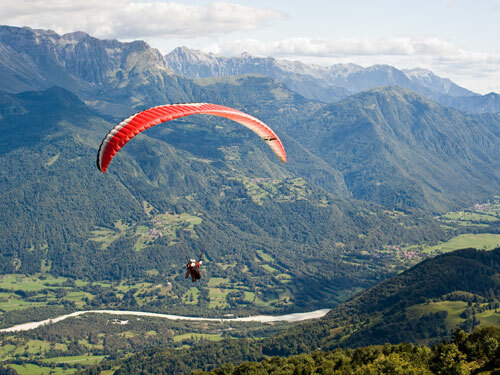 Paragliding Tandem Flights largely depends on the weather conditions, so it is important to schedule the flight, and confirm the programming to 1 day or two before.